The provision of cleaning services to homes and businesses is a business sector that is highly competitive in Cyprus and thus it is often difficult for companies operating in this field to stand out from the crowd. Building an online presence for your cleaning services company and marketing your offering online can be equally competitive, but fortunately achieving success can be possible through SEO. Here at Netresort, we pride ourselves for our solid experience in helping companies operating in the Cyprus cleaning services industry and feel confident that we possess the necessary experience and expertise to deserve the position of your preferred partner when it comes to outsourcing to cover your SEO needs for your Cyprus based cleaning company and help you gain a true edge for your online visibility. Helping businesses market their work over the world wide web has been our main expertise for years and we know how to help you climb search engine rankings and effectively reach your target client-audience. Besides being seasoned SEO specialists we also have unique insights and understanding of the local cleaning services sector, being able to build your Cyprus-based cleaning services SEO campaign based on a wealth of industry specific knowledge and also offering superb campaign execution and management. Irrespective if the focus of your cleaning customers is on residential or commercial customers we can come up with a tailored SEO plan for you and help you achieve tangible results in terms of increased website traffic, leads and conversions. Our first aim would be to study your company and its offering and identify what your areas of specialization are, before proceeding to devise and execute your SEO effort in order to most effectively position your services online and help you beat your competitors. Based on our thorough understanding of the power of local search, which has enabled us to help all our existing clients excel in their respective industries, you can bring tons of new local customers to your Cyprus based cleaning company. Local search SEO optimization is so powerful because when people are usually searching for a service online they tend to include a specific keyword, for example “house cleaning” followed a specific location they want the service to be provided in, their town or village. Through SEO optimization we aim at maximum visibility and the achievement of high organic results for all types of local searches. Moreover, you can help you set up and manage focused PPC campaigns to help you make the most of paid advertising online boosting the numbers of potential clicks for your cleaning services website. Our approach is both professional and multifaceted not concentrating on local SEO alone, but also helping our clients rank high for all coveted keywords in their potential market niche. 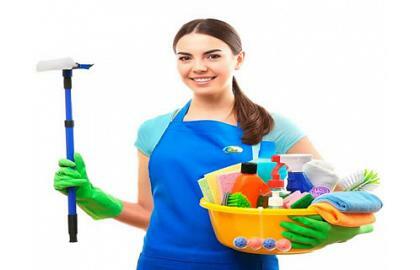 With our help you will be getting traffic for all the services you provide as a cleaning company, whether they pertain to residential and domestic properties, commercial spaces, offices, factories, warehouses etc, as well as for any other associated services you may be offering such as upholstery, carpet and curtain cleaning, high pressure cleaning or even gardening services. If you want to see your Cyprus based cleaning company grow and expand don’t trust just anyone to cater for your specific SEO needs. Maximize your growth potential and minimise any unnecessary risks that might come from the adoption of unscrupulous marketing tactics or to random agencies that may be promising illusionary quick fix solutions that may only lead to artificial, short-term results. At Netresort, we focus on long-term strategies and deliver results that are transparent and have a long term impact and effect. Talk to us today to obtain a free consultation, discuss your business objectives and find out how we can assist you achieve them.